We are delighted to be running an amazing giveaway in the run up to Christmas. The guys over at The Keyboard Company have kindly offered to send one of our readers a fabulous FILCO Majestouch MiniLa Keyboard. As keyboard and mouse specialists since 1989, The Keyboard Company are perfectly placed to meet just about any keyboard and mouse requirement you may have. They stock the largest choice of quality keyboards in the UK, which combined with their exceptional customer service, and unrivaled knowledge of the keyboard market, makes finding your perfect keyboard or mouse a reality. Please do take the time to check them out – you wont believe their range of keyboards! 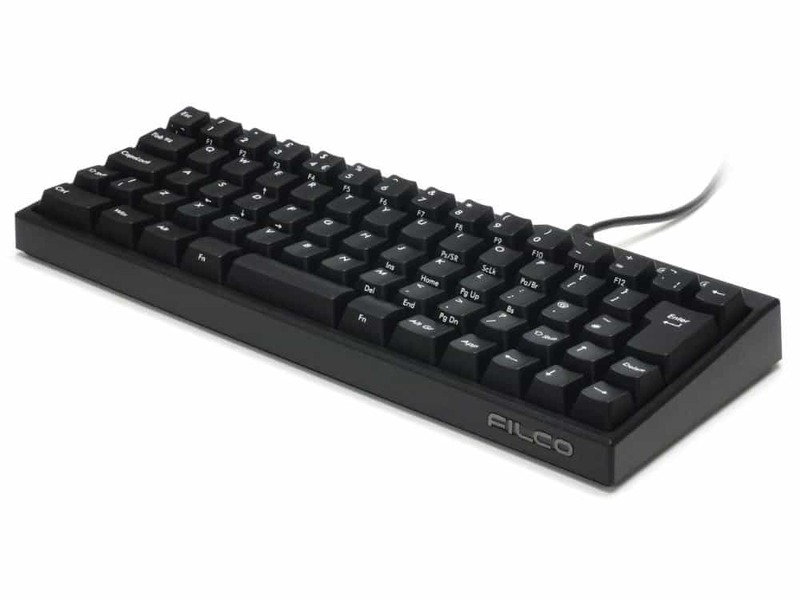 Inspired by the Japanese gaming community, work ethic and culture of quality – Filco has been at the front of the high quality mechanical keyboard market for some years now having created a trend that many others follow. With their Full Size and Tenkeyless (without numberpad) keyboards already hugely coveted, Filco have now added their new MiniLa (Minimum Layout) 60% size keyboard to the mix. The Filco MiniLa is a unique, ultra-portable keyboard. The one we have up for grabs is in UK layout, and boasts Cherry MX Black Switches, and retails at £114.00. Please click here for its full specifications. For a chance to win one of these fabulous keyboards, simply enter via the Rafflecopter entry form below. Please note that although this giveaway is open worldwide, the prize keyboard is in a UK layout. The winner will be notified by email within 24 hours of the draw taking place, and the winner’s first name will also be displayed on the Rafflecopter widget. The winner will have 7 days to claim their prize, in the event of the prize not being claimed within that time frame, a new winner will be drawn and notified. I like the UK Matias Bluetooth Aluminum Keyboard in Silver. Oh the Milina looks fab, thank you for the chance. They all look very useful but going for one it has to be the UK Ergo Pro Quiet PC Ergonomic Keyboard. Fingers crossed. Filco Majestouch-2, NKR, Tactile Action, USA, Yellow Keys Keyboard is my favourite. Id love to own the Filco Convertible 2 Tactile Action USA ASCII Keyboard. Imma gamer!! Would love to own a UK Cherry MX-Board 6.0 Pro Aluminum Backlit Mechanical Keyboard for my teenage son for his gaming! The Cherry MX-Board 6.0 Pro Aluminum Backlit Mechanical Keyboard! I like IBM keyboard. So cool. The full-size keyboard would suit me best. love the look and learn keyboard! The UK Ergo Pro Quiet PC Ergonomic Keyboard please. I like the Original IBM Style Keyboard, Black USB. Because I do like having a numeric keypad when I’m at my desk, even if it does make the keyboard bigger. My favourite of all of keyboards they sell is the USA V60 Plus Dual Backlit 60% Hard Tactile Keyboard. It’s quite similar to the FILCO Majestouch MiniLa Keyboard, but is also backlit. The only downside is the non-uk layout. The Mini Cherry KC 4000 Mini Keyboard Black USB would be my choice. I love the look of the UK Matias Mini Quiet Pro for PC!